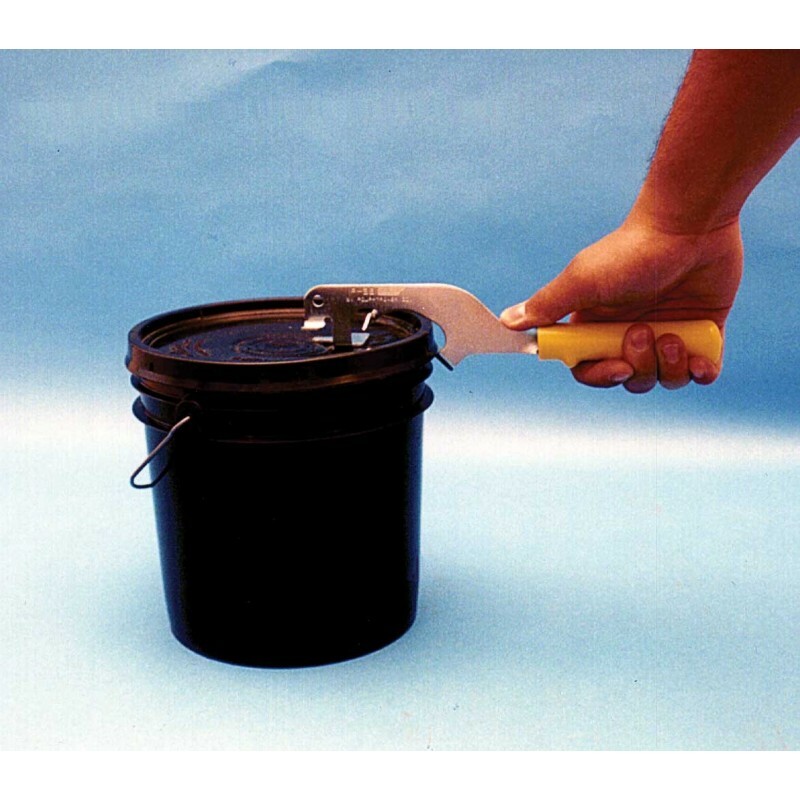 The 3-in-1 BUCKET OPENER cuts, lifts and seals plastic or metal ink and coating storage containers safely, quickly and easily. This bucket opener has a flange cutter that safely cuts slots on plastic buckets, a screwdriver blade to pry the lids off of metal 1 gallon or 5 gallon containers and a hammer tool for resealing containers. Lightweight, tempered steel construction.